Marie Kondo has achieved worldwide success with her KonMari Method, including a best-selling book and Netflix show. 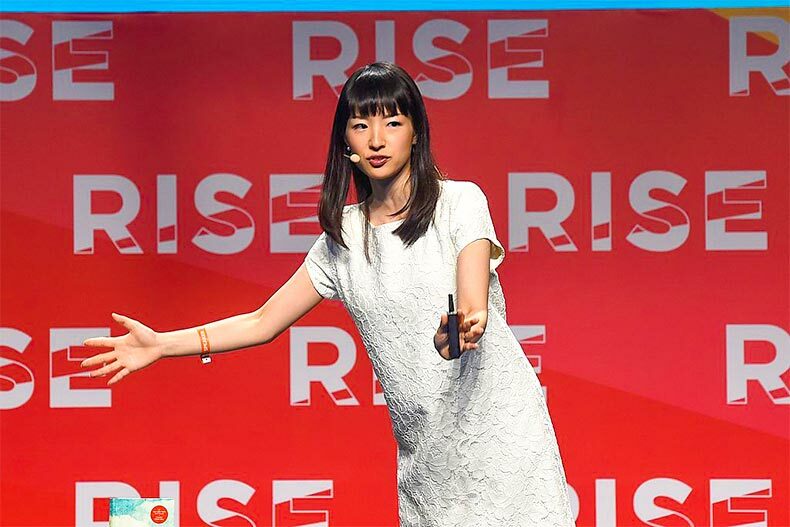 Japanese cleaning consultant Marie Kondo created the KonMari Method for tidying up. Her advice became a hit sensation after she wrote a best-selling book and even starred in a Netflix show called “Tidying Up with Marie Kondo." The KonMari Method is now a worldwide trend, with many people turning to social media to share their home transformations. Anyone who wants to tidy up their home can use the KonMari Method, but it can be especially useful for active adults who want to downsize into new homes or move forward with retirement plans. The KonMari Method guides homeowners to only keep the possessions they truly love, which leads to a smaller and more meaningful collection of items that can fit in a new home with ease. We’re breaking down the KonMari Method step-by-step so you can downsize your home and transition into retirement with happiness. If you're downsizing from your family home, the KonMari Method can make things a little easier. The KonMari Method differs from traditional organization advice in a few ways. First, instead of cleaning room-by-room or little-by-little, you clean by category. Second, you choose what to keep, not what to throw away. Active adults can use this method to downsize their homes as efficiently as possible. After homeowners sort through their possessions and only keep the items they truly love, it means they only have to move the items they truly love. This saves a lot of time and hassle when moving while decreasing the stress surrounding a big move. To follow The KonMari Method to downsize your home, you must adopt the six basic rules of tidying up. To finish the KonMari Method, you must commit to completing the process, understanding that it can take weeks to sort through everything and that it can even be an emotional process. For any active adults planning to downsize in the next few years, it will likely be worth the effort when you move only your most valued possessions into your new home. There’s no better time than the present to start The KonMari Method, especially if you know you want to move to an active adult community in the next few years. But if you’ve already set the date for your move, it might be helpful to set a date for when you want to finish decluttering, too. Try to pick a date at least two weeks to a month before your move date. That way, you will finish The KonMari Method with far fewer possessions and still plenty of time to pack everything before the move. You might find yourself amazed at how much easier it is to pack after you’ve decluttered all of your possessions. To help you commit to the process, consider how The KonMari Method can help you achieve your ideal downsized lifestyle. Think about the home and the active adult community you’ve chosen. Visualize the way you want to live and feel when you move to your ideal active adult community. Recognize that the KonMari Method might be just the thing to create a turning point in your life and help you reach your ideal lifestyle. Many active adults move into 55+ communities so they can spend more time enjoying the hobbies they love. When you downsize into your new home with only the possessions you love most, you will have a cleaner and more organized home. You can spend less time cleaning and organizing excessive items and spend more time enjoying your active lifestyle. After sorting the items in each category, discard all of the items that didn’t spark joy. This could mean donating items to local charities or throwing things away. The KonMari Method asks that you discard all of the items that didn’t spark joy from one category before moving on to the next. Once you start discarding multiple bags and boxes of items that you no longer need, it will bring you one step closer to your new life in an active adult community. The five categories of items to tidy are clothes, books, papers, miscellaneous, and sentimental. Tidying clothing creates more room in your closet and dresser to store the clothes that spark joy. 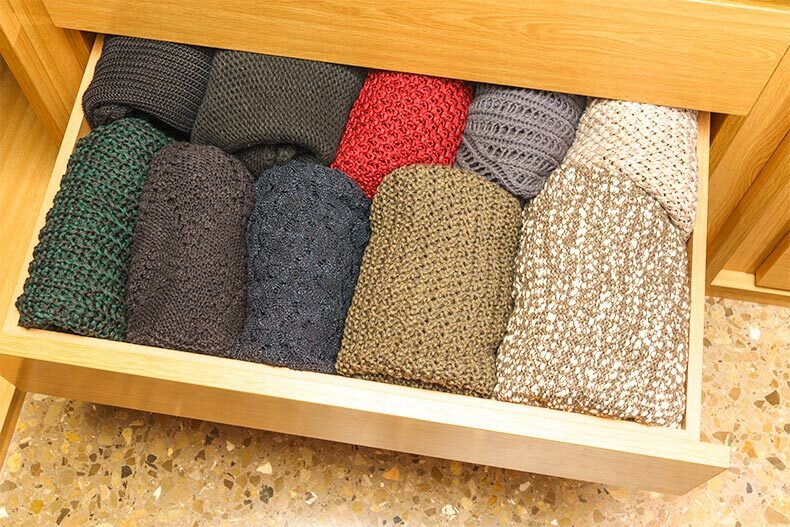 The KonMari Method outlines special folding methods for socks, undergarments, shirts, sweaters, and jeans that involve storing them vertically in a dresser, making it easier for you to see and appreciate what you have. If you’re moving to an active adult community with a drastically different climate, consider discarding most of your heavy winter clothes. You might keep a few outfits for any trips back to the area, but you will get the most use out of clothes that fit the weather of your new active adult community. Plus, you can enjoy the experience of purchasing new clothes once you arrive at your destination. For books, it may be best to just keep your favorites and make room for new reads on your shelves. Large book collections are often difficult to move, so it might be worth saving yourself the trouble and checking out the local library once you reach your destination. Some active adult communities even have their own libraries and reading rooms. When it comes to papers, get rid of any unnecessary papers that have already served their purposes for you. Make sure to shred any documents with personal information. The miscellaneous category includes pantry items, board games, linens, and garage storage, among other areas in your home. The final category, sentimental items, can include the possessions most difficult get rid of. Marie Kondo reminds homeowners that even if you dispose of sentimental items, you will still have your memories. When sentimental items no longer spark joy, it’s okay to dispose of those items while thanking them for the joy they brought at one time. The KonMari Method emphasizes the order of the categories: clothes, books, papers, miscellaneous, and sentimental. Marie Kondo intentionally placed these items in order from least sentimental to most sentimental. As you achieve tidying success in the first categories, it can help you build confidence to move through the final one. The final rule of the KonMari Method is to always ask yourself, for each item, if it sparks joy. This simple phrase helps homeowners change their mindset about their possessions and their lifestyle. “Sparking joy” is a foundational concept in the KonMari Method. When you hold each item in your hands, you ask yourself, “Does this spark joy?” If it does, you keep it. If it does not, you discard it. Then, when you are done sorting, you are left only with the belongings you truly love. With the burden of clutter and disorganization gone, you will have more time to enjoy your new home and the lifestyle at your active adult community. Ready to Try the KonMari Method? The KonMari Method for tidying up can benefit active adult homeowners ready to make a change in their lives. Active adults can follow the KonMari Method to downsize into smaller homes at 55+ communities. Those who want to stay in their homes can transition into their retirement with ease and have a new outlook on life.